All of the information you need to manage your supply chain wherever you are - at your desk, on your tablet, or on the go - through our app. 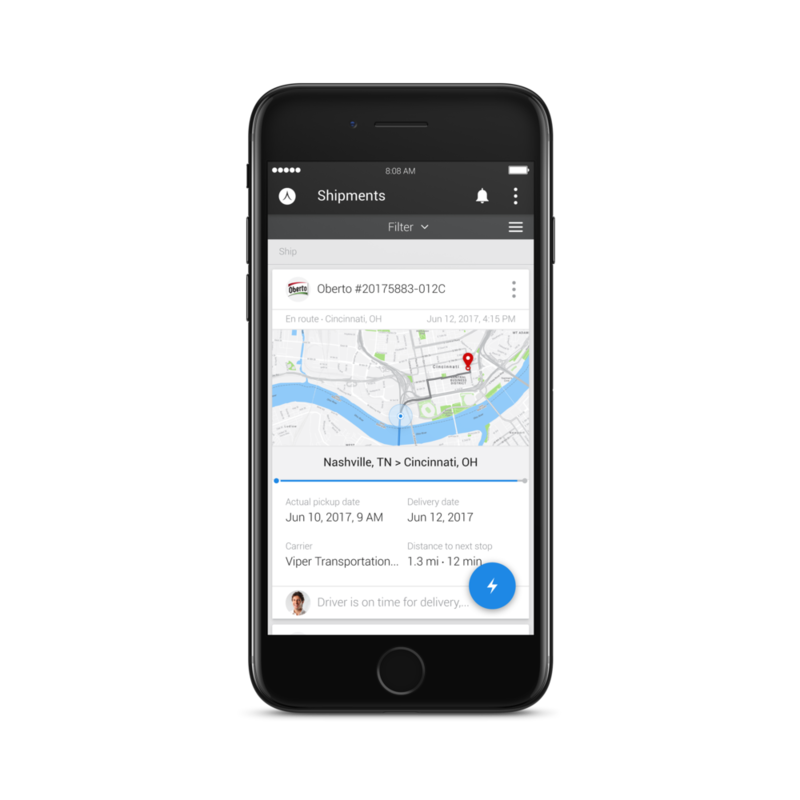 Get a 30 second overview of all of your shipments, or check the current status of a particular shipment with real time order tracking. Unleash the power of our software on your supply chain. Taimen empowers our clients with cutting edge supply chain management software: real-time load tracking, instant collaboration in dozens of languages, 100% shipment visibility, insightful data analytics, google powered mapping, built in search engine, document/invoice sharing - all in one place. The best part - we are giving it to our customers for free. Our software makes it easy to keep track of your entire supply chain in one place and in significantly less time. We founded Taimen in 2012 on two guiding principles: be the best and create an environment where our team is excited to come to work every day. If your product needs to move, Taimen Transport is here to help. We handle Flatbed, Dry Van, Refrigerated, HotShot, Rail, Intermodal, Over-Dimensional, Box Truck, Direct Discharge, and LTL. With 15,000 thoroughly vetted carrier partners we have coverage over 100% of North America. We can get you capacity where you need it, when you need it, with an extensive back-haul network that can save you money. Taimen Transport LLC also has an asset based sister company, Taimen Trucklines LLC. Taimen Trucklines LLC operates company owned 53' Dry Van and 48' Flatbed assets in Chattanooga, TN, North GA, Houston, TX, and Midland, TX. Trucklines has an experienced team of professional drivers, operates late model equipment (keep scrolling to see one of the trucks! ), is fully ELD compliant, drop trailer capable, and satellite trackable. Contact us about providing a joint solution with our assets.